1. 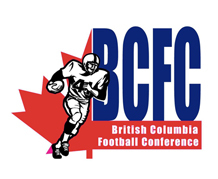 The name of the organization shall be the British Columbia Football Officials Association. 3. On dissolution of the Association, the liquidators appointed shall cause all assets of the Association, after payment of all liabilities, to be transferred to an organization or organizations, situated in British Columbia and devoted to the advancement of similar objectives as this Association. Such organization(s) shall be chosen by a majority vote of Regular and Life Members in attendance at the first meeting called by the liquidators. This condition is alterable. 1. Any person of good character desiring to qualify as an Official may present their application for membership to the Secretary of this Association. (a) by delivering a resignation in writing to the Secretary or by mailing it to the address of the society. (b) upon the member’s death, or upon dissolution of the Association. (d) upon having been a member not in good standing for 12 consecutive months. 2. All members are in good standing, except a member who has failed to pay the membership fee, or any other debt due. The member is not in good standing so long as the debt remains unpaid. Membership shall consist of Probationary, Regular, Inactive, Life and Associate Members. Officials joining the Association shall in addition to meeting the above requirements, accept rules instruction and field mechanics instruction before being allocated any game assignments. The Probationary Member shall be required to serve a one (1) season apprenticeship with no voting rights. After one season, the official may apply in writing for regular membership. A Probationary Member shall become a Regular Member when a written application for membership is received and approved by the Executive of the Association. A Regular Member is eligible to vote on all business matters of the Association. To maintain Regular Member status, a member shall, for a given season, work as a field official or shall perform other functions on behalf of the Association. A member who does not fulfill the obligations of a Regular Member shall be designated as an Inactive Member. An Inactive Member may attend all meetings or social events of the Association, but shall have no voting rights. Should an Inactive Member wish to resume an active role in the Association, they shall make a request in writing to the Executive Board. Such a membership may be granted to any Regular, Inactive or former member of the Association, who in the opinion of the membership has made a worthy contribution to furthering the best interests of this Association and football. A written nomination may be submitted to the Secretary at any time, but no later than 28 days prior to the December General Meeting. Approval will require a simple majority vote of the ballots cast by members. Any member receiving a life membership shall have the rights and privileges of a Regular Member, including voting rights at any meeting. A Life Member shall not be required to pay an annual membership fee. Any person who is not a Regular Member, but who participates in on-field activities of the Association, shall be known as an Associate Member. Such member shall not have voting privileges in the Association, but shall be subject to those bylaws and directives of the Association which govern the conduct of the members. An Associate Member shall participate in the education program prescribed by the Association. The number of non-voting members will never be greater than the number of voting members. The Executive Board shall manage the affairs of the Association. The Regular and Life Members shall, by following the schedule outlined in item 3 below, elect nine (9) officers to be known as the Executive. Members elected to the Executive Board shall not receive salary or benefits for their work on the Board. To be eligible to serve in any Executive Board position a member shall be a Regular Member in good standing or a Life Member. No member shall hold more than one Executive position. The Executive Members shall be elected for a term of two years. The President, and Vice-President, Canadian Football, Treasurer shall be elected in even numbered years. The Vice-President, American Football, Secretary and the Directors, Member Services shall be elected in odd numbered years. Should a vacancy occur during the term, the Executive Board shall fill the vacancy for the remainder of that season. Any such position filled during the season will be subject to the election process at the next Annual General Meeting for the term remaining. The election of the Executive Board shall be held at the December General Meeting of the Association. Election results shall be comprised of votes submitted by eligible members using a valid Absentee Ballot, and those eligible members in attendance at the meeting who vote by valid regular ballot. Candidates for office, with the exception of the positions of Director Member Services – Interior, Director Member Services – Vancouver Island and Director Member Services – North, shall declare their candidacy to the Election Committee by the established deadline. The positions of Director Member Services – Interior, Director Member Services – Vancouver Island and Director Member Services – North shall be elected for a two-year term by the constituents of each of these regions. Nominations for these positions shall be submitted to the Election Committee no later than November 30 in the year in which the two-year term expires. In all cases, the candidates must confirm acceptance of the nomination. Elections shall be conducted by Absentee Ballot, except if only one candidate accepts the nomination. Such sole candidate shall be elected by acclamation. In the event of multiple candidates, the candidate receiving the largest number of votes cast will be declared elected. A motion for the removal from office, for cause, of any member of the Executive Board shall be submitted by at least 1/4 of the regular members of the Association. Removal requires the consent of at least 2/3 of the eligible voters at a properly constituted general meeting. All Executive Board Members shall be active in the recruiting efforts of the Association. The Vice-President with the most continuous service in the office shall, in the absence of the President, act in the President’s place and capacity at any Association, Executive Board or Committee meeting. The Vice-President will also represent the Association in any capacity as determined by the Executive Board. (i) preside over all meetings and functions of the Association and shall be an ex-officio member of all committees except where Executive Members are excluded within the Constitution and Bylaws. (ii) be responsible for the efficient functioning of all officers, committees and the organization in general. (iii) authorizes payment of all bills of the Association. Such authority may be delegated to other Executive Officers. (iv) represent and act for the Association whenever appropriate. (v) have the power to appoint committees. 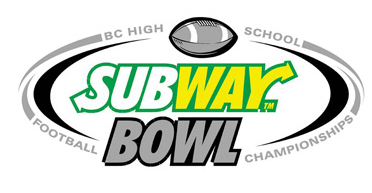 • be responsible for the overall function and delivery of services to all Canadian rule football organizations. 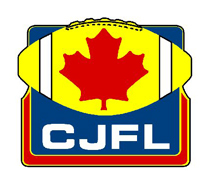 • oversee all aspects of operations as they relate to Canadian Football, in conjunction with the Education and Allocation Committee Members. • act as the Association liaison with the B.C. Football Conference. • be responsible for the overall function and delivery of services to American rules football organizations. 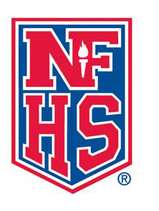 • oversee all aspects of operations as they relate to National Federation High School rules football, in conjunction with the Education and Allocation Committee Members. • act as the Association liaison with the B.C. Secondary Schools Football Association. (i) collect all dues, fees and assessments according to the Bylaws and account for the same. (ii) deposit all monies not required for the day-to-day activities of the office in a bank approved by the Executive Board. (iii) pay all bills and game fees authorized by the President. (iv) present a financial report at the annual meeting and submit the books and records for audit at the request of the Executive Board. (v) develop electronic forms for all Allocators to use when sending in their game assignments and related expenses. (vii)be responsible to the Executive Board for the diligent performance of the duties outlined above. (ii) advise the membership of date, time and place of all regular and special meetings not later than seven (7) calendar days before such meetings. (iii) advise the Executive Board of regular and special meetings. (iv) maintain acceptable minutes of Association meetings. (v) maintain a record of communications, and present such to the Executive Board and the membership, as necessary. (vi) maintain an up-to-date record of the Constitution and Bylaws and provide same to the membership. (vii) maintain an up-to-date record of the Contracts and Agreements and provide same to the executive. (x) be responsible to the Executive Board for the diligent performance of the duties outlined above. (ii) ensure that all members, (Probationary, Regular, inactive, Life and Associate) are aware of their rights and responsibilities under these Bylaws. (iii) act as liaison between new members and the Executive Board and Allocation Committee personnel to ensure that they receive every possible benefit and opportunity. (iii) ensure all officials have forms and contacts to access officiating equipment and supplies. 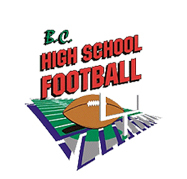 (iv) assist members in filing insurance claims in accordance with requirements of the insurance underwriter and Football B.C. (vi) carry-out all other related duties as required or as assigned by the President. (i) provide executive continuity during the transition to a newly elected President. (ii) act as an advisor to the Executive Board. (iii) represent the Executive Board in its dealings with football leagues and other organizations with which the BCFOA has relationships. (iv) lead or participate in, projects, committees or business initiatives. Note: As a non-elected member of the Executive Board, the Past President will not vote on matters before the Board. 1. An Annual General Meeting of the Association shall be held in the month of December of each year on a date to be fixed by the Executive Board. Notice of a general meeting shall be given in writing to the members not less than fourteen (14) days prior to the meeting. 2. A special general meeting of the Association may be called by the President, as and when, it is deemed necessary. Also, the President shall call a special general meeting when requested to do so in writing by at least 10% of the voting members. Notice of a special general meeting shall be given in writing to the members not less than fourteen (14) days prior to the meeting. 3. A majority of at least one third (1/3) of the Regular Members and Life Members shall constitute a quorum for any general meeting of the Association. Such quorum will be achieved through the total of members having voted by valid Absentee Ballot, and those voting by valid regular ballot while in attendance at a properly constituted general meeting. The Executive Board, at its discretion, shall constitute the following committees comprised of Regular and Life Members. The President shall be chair of the Business Affairs Committee and the Executive Board shall appoint such members as necessary to complete its duties. The committee is responsible for all dealings with leagues, including working agreements and negotiation of fees. The committee is also responsible for all publicity and any dealings with the media. The Grievance Committee shall be appointed by the Executive Board as required and shall be comprised of three (3) members, none of whom may be members of the Executive Board or the Conduct Review Committee. The (2) members shall be standing members, while the third will be chosen in consultation with the Association member responsible for the grievance. The committee shall designate a chair from its membership. The Grievance Committee shall investigate all grievances presented to it by a member of the Association. Such investigation must be completed within ten (10) days. Any recommendation, decision or penalty imposed by the Grievance Committee must be issued in writing to the member responsible for the grievance and the Executive Board, and shall be final and binding on all parties. All members shall have the right to appeal any decision or penalty to the Grievance Committee. An appeal must be presented in writing to the Executive Board within ten (10) days following the issuance of the decision. The Executive Board must make a final written ruling on the issue within 21 days of the appeal being received. The Election Committee shall be appointed by the Executive Board and shall comprise up to three members, one of whom will be appointed Chair. The Chair of the Committee, who is not eligible to stand for nomination, shall supervise all election procedures, and shall not vote except in the event of a tie. Duties of the Committee include: distribution of information and ballots, enforcement of deadlines, receiving the names of candidates standing for election, collection of ballots, tabulation of results and other related duties. The Vice-Presidents will be responsible for appointing Allocators in their respective areas of responsibility. Allocators shall be responsible for the assignment of all member officials to all games contracted by the Association. The committee of Allocators shall take into account the evaluation, grading, attendance and test results of each member official. The Allocators shall keep accurate records to be submitted to the Treasurer for accounting purposes. For play-off assignments, Allocators will take direction from the Play-off Committee(s). The members of Play-off Committee(s) will be appointed by the appropriate Vice-President. On an annual basis, a Provincial Education Coordinator (Coordinator) shall be appointed by the Executive Board. There shall also be separate Assistant Coordinators (Assistants) appointed for each region of the Province. The number and geography of such regions shall be determined by the Executive Board. The Coordinator will recommend the candidates for the Assistant positions to the Board for approval. An Education Committee, Chaired by the Coordinator, will be comprised of the Assistant Coordinators and the two Vice-Presidents. The Coordinator is responsible for ensuring that certification clinics are held on an annual basis. The Coordinator, in consultation with the Assistants, will be responsible for selecting Educational Presenters and other resources for all sanctioned education sessions and/or clinics. The Education Committee shall be responsible for all training of the membership on the rules and mechanics of officiating football. The Coordinator is responsible for evaluating and testing of officials each season, and for providing input to post-season assignments at all levels. The Coordinator is responsible for the selection of Evaluators. The Coordinator will Chair an Evaluation Committee comprised of the Evaluators. The Evaluation Committee shall be responsible for developing criteria, a system of record keeping, and schedules for evaluating members of the Association. It shall also be responsible for ensuring that all evaluations are conducted under a uniform and confidential process as approved by the Executive Board. The Conduct Review Committee shall be appointed by the Executive Board, as required and shall be comprised of three members (3), none of which can be the Executive Board members. The Committee shall designate a Chair from its membership. The Committee shall investigate any written complaint by members of the Association, which might violate the Constitution and Bylaws of the Association or be deemed detrimental to, or not in the best interest of the Association. Such investigation must be completed within ten (10) days, and any recommendation(s) must be forwarded to the Executive Board, who shall be responsible for the administration of any penalty. 1. An official applying for membership shall pay such initiation fee as established by the membership. The initiation fee shall be a one-time charge and shall be the first charge against any game fees earned by such member. 2. An operational assessment of 4% of all game fees paid to the Association shall be withheld to finance the Executive Board and its operation from games assigned by the Association’s Allocation Committee. 3. The Allocation Committee will be paid on a per-game assignment rate to be determined each year by the Executive Board. 4. The Education Committee shall be paid on a flat rate assessment per active member to be determined each year by the Executive Board. 5. An official who fails to report for an assignment without sufficient reason will not only lose that game fee, but shall be fined the amount of that game fee. The fine will be assessed against the balance of game fees remaining after the Association makes the appropriate deductions. That fine shall be paid to, and split evenly by, the officials who worked the game. 6. Should an official report for a game as assigned and should the official not work the game, either because of an over abundance of officials or because of an error by a member of the Allocation Committee, the game fee for said game shall be deducted from the operational expenses of the Allocation Committee and paid to said official. 7. Members, who fail to report, properly dressed, in sufficient time prior to the start of the game to participate in an effective pre-game meeting for all games played Saturday, Sunday or any evenings after 6:00 p.m. shall be assessed up to a 20% fine on a per game basis depending on the seriousness of the incident. It is the Referee’s responsibility to notify the Executive Board of the situation. 8. Members fined under Article V Subsection 5, may have the fine reviewed by the Conduct Review Committee. The Treasurer together with any other member of the Executive Board shall be authorized to sign cheques for the Association. Members who wish to place a motion before the membership concerning the finances of the Association, shall submit such motion, in writing, to the Treasurer at least 14 days prior to the December General Meeting. 10. An annual membership fee of up to $30.00 may be assessed to the members for the purpose of covering national and provincial registration fees. 11. An Executive Board member will be reimbursed for all expenses incurred while engaged in the affairs of the Association. 12. The Executive Board may not borrow or raise money in any manner without the approval of the membership. The purpose of this Code of Ethics is to ensure members conduct themselves, at all times, in the best interest of the Association and the game of football. (a) treat all assignments with a professional approach and positive attitude. (b) prior to any game assignment, accept rules instruction and field mechanics instruction and demonstrate an ability to achieve a minimum standard of performance. Such standard will be established by the Education Committee and shall be available, in writing, for all members. (c) prior to any game assignments, must demonstrate an ability to communicate effectively with anyone affiliated with a football game. (d) avoid cancellation of any game assignment without sufficient reason, less than forty-eight (48) hours prior to game time. (e) not fail to report for any game assignment, when properly notified, without sufficient reason. (f) arrive at the game site sufficiently prior to any game assignment, subject to the provisions of Article IV Section 1 of the Constitution and Bylaws. (g) dress for all game assignments in the officiating uniform, specified by the Executive Board, as provided for a particular assignment. (h) not report for any assignment under the influence of alcohol or any other drug or otherwise in any condition not capable of officiating. (i) not engage in controversial discussions with team officials, coaches or players, before, during or after games. (j) not solicit, or allow themselves to be solicited, or solicit on behalf of another organization, to officiate any game not under the jurisdiction of the Association, except when granted permission in writing by the Executive Board. (k) not make statements maligning the BCFOA or its members, nor take any action that brings the reputation of the Association or its members into disrepute. Any charge of improper conduct shall be investigated by the Conduct Review Committee. If improper conduct is found to have occurred, the committee shall recommend the action it deems appropriate to the Executive Board. Action could be a fine, a temporary suspension or a termination of membership. The Executive Board may act in accordance with the recommendations. Any action imposed by the Executive Board may be appealed to the Grievance Committee. 1. All meetings shall be conducted under the rules of parliamentary procedure as outlined in Roberts Rules of Order. The Executive Board Meetings must have a quorum of 5/9 of the voting Executive to conduct the business of this Association. Regular meetings shall be held before and during the season as determined by the Executive Board. Any amendments to the Constitution or Bylaws shall require a 75% majority vote of the eligible members who vote by Absentee Ballot or by ballot while in attendance at a properly constituted meeting. Proposed amendments must be submitted in writing to the Secretary- of the Association and shall be given in writing to the members at least fourteen (14) days prior to any action being taken. 1. The Association shall indemnify its Officers from any liability arising from the action or failure to act under or pursuant to the provisions of the Articles of the Association and its Bylaws or any rules or regulations adopted hereunder, provided that such Officer shall have proceeded in good faith and without malice. 2. The Association shall maintain liability insurance for the purpose of defending any Officer from claims, suits and other legal actions brought by any third party and arising out of the Officers performance of their duties subject to the indemnification clause above.